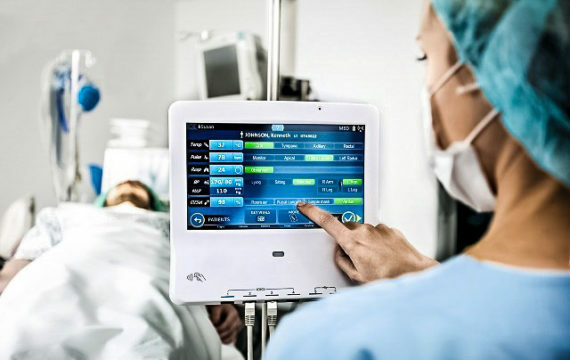 76 percent of all US healthcare providers are eager to adopt new technology such as connected medical devices. The lack of support from the IT industry is a big problem in getting from willingness to actual implementation, an ABI research survey finds. The healthcare industry also sees government incentives for modernization of services more often as a barrier then as support for technology adoption. The importance of healthcare services combined with the sharply rising cost of its delivery helped to make healthcare an industry under intense political scrutiny, ABI Research states. But just as U.S. national and state governments aim to incentivize modernization and cut costs with a raft of political action, the industry itself places the blame elsewhere. In its recent B2B technology survey of 50 U.S.-based healthcare companies, ABI finds that government incentives are the lowest primary driver, worse even, a barrier for technology adoption. There is far more concern about healthcare providers’ ability to win support internally for smart health initiatives. The survey found a key willingness to embrace developing technologies, with 76 percent of healthcare respondents rating their organizations’ willingness to embrace technologies as a 7 or higher out of 10. This is notably higher than the 66 percent of respondents from nine verticals, reported in the same survey. Technologies under consideration range from connected medical devices to renewable energy management, and a focus on improving patient services and operating efficiency drives this adoption. However, that potential for improvement through smart health adoption will remain unfulfilled if healthcare providers do not get the support they need from the IT industry.